Brain surgery patient dies after overdose of blood thinner causes haemorrhage and brain damage. We acted for the bereaved partner of Mr K, who underwent brain surgery, to treat a meningioma tumour. Following the surgery he was inappropriately monitored resulting in an overdose of anti-coagulant (blood thinning) medication, intracranial haemorrhage, causing significant neurological damage and eventual death 2 ½ years later. Mr K was diagnosed with a meningioma (brain tumour). He underwent a left frontal craniotomy (brain surgery) at King’s College Hospital two months after his diagnosis. He developed a proximal deep vein thrombosis (DVT) (blood clot) and was started on heparin, an anti-coagulant, in order to thin the blood to avoid further clots. The ITU Consultant warned about the risk of over anticoagulation and that the heparin ratio should be kept below 2. Mr K was not reviewed by a doctor for a period of approximately 24 hours. The dose of heparin was increased, in accordance with the prescription chart, but the instruction to keep the ratio below 2 was not observed. As a result, Mr K suffered a post-operative intracranial haemorrhage (bleeding inside the skull), leading to a haematoma (large blood clot) and need for repeat craniotomy. Mr K suffered significant neurological damage, required two lumbar punctures and was in a coma for 2 weeks. He also contracted c-difficile and pneumonia. He could not walk and struggled to speak. Mr K was transferred to a rehabilitation unit, where his condition improved and he was eventually transferred to a care home. He suffered from repeated chest infections and following collapse in 2 ½ years later, was taken to hospital, where he eventually passed away. By the time of his death, Mr K had no mobility, could not speak, and could not feed himself. He required 24 hour care. 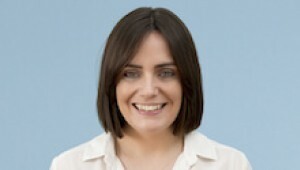 Mr K’s long-term partner, Ms F instructed Rebecca Morgan, who specialises in clinical negligence matters. Rebecca was initially instructed whilst Mr K was alive and obtained supportive expert evidence from a Consultant Neurosurgeon and Haematologist. Rebecca subsequently served a letter of claim on Kings College Hospital, alleging that they failed to appropriately monitor Mr K, which caused him to incur intracranial haemorrhage, haematoma and significant neurological damage. Whilst awaiting a response from the Trust, Mr K passed away. The defendant’s response was therefore prepared on the basis that he was still alive and admitted the failure to appropriately monitor Mr K during his admission and that he would not have gone on to suffer haemorrhagic complications and required further surgery as a result. The defendant was advised that Mr K had died and they subsequently denied that their admitted failings caused or contributed to his death. Ms F pursued the claim on behalf of Mr K’s estate. The defendant sought to argue that Ms F was not entitled to a claim for dependency on the basis that she was not married to Mr K and that they had not lived together immediately before the date of death, despite Mr K having required 24 hour care at that time, requiring him to live in a care home. Rebecca successfully negotiated an out-of-court settlement of £85,000 prior to the need to issue court proceedings. Rebecca specialises in fatal cases. If you would like to ask Rebecca a question about a potential case, or if you have a general query about any clinical negligence, contact Rebecca at Thomson Snell & Passmore solicitors on 01892 701210 in confidence.